The following verses are always great motivation for me. Reminders of God's goodness and love. No, I wasn't always obedient, and I'm not perfect now. However, these days I make a greater effort to follow and live by my Father's guidance. In case you need a reminder today (or if this is brand new for you), please meditate on the following verses and pray for Holy Spirit to give you understanding. 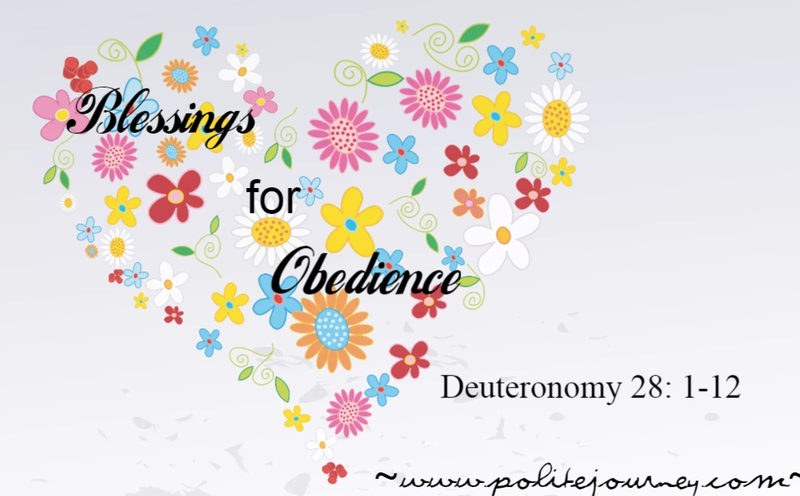 Obedience has its rewards and your heavenly Father is waiting to bless you!